Explore a dream world of sliding towers in A Wish Upon A Star. Created as part of the seventh Wizard Jam [Link], A Wish Upon A Star, from Fabian Denter, has players slide columns within a 3D, rotatable puzzle-world to move the child protagonist around the map, ultimately passing through to the next level. Everything is a dream, or at least that’s how it seems. You explore the playground, the park and various other moments from the protagonist’s life. Each memory floats poignantly, jutting into the dreamy heavens amidst the various platforms you must slide and move across during the game’s fleeting story. 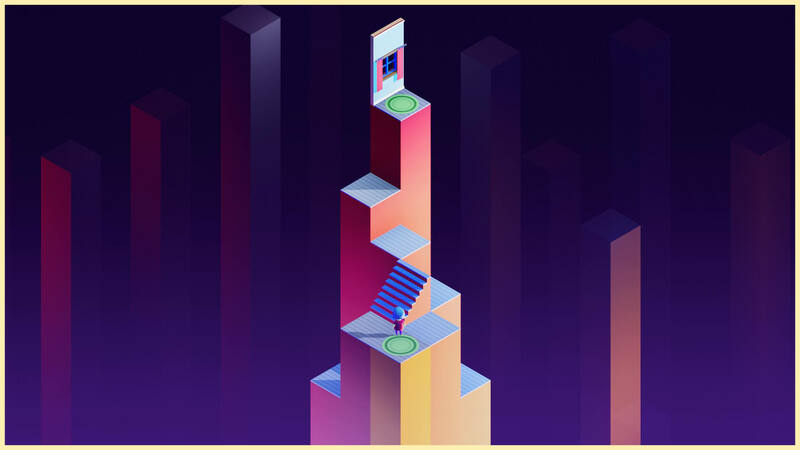 It’s not all as simple as sliding though — in later puzzles, some towers are linked through colours, shifting others in different directions when you interact with one of the pair. Unlike most conventional sliding-column games, there is no set ‘mid’ height, as the exit itself can be slid around. This means you need to do a lot of tinkering and experimentation in some of the more advanced levels. 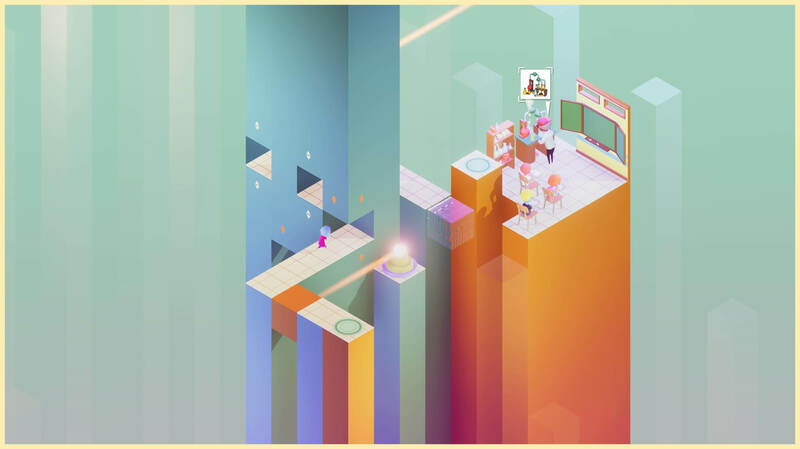 A puzzle game at heart, built around perspective and sliding, A Wish Upon A Star still manages to carry an interesting narrative — something not frequently found in the puzzle genre. It is all kept in-theme as well; no FMVs or flashback moments burst in amid the slow, almost somber crawl that you direct your character on as they travel through their memories and hopes. There’s a rare beauty in games that can communicate a message, and story, without words. A Wish Upon A Star, much like Fabian’s previous game, The World Begins With You, manages to do exactly that — and well. It also does it while conveying a message of hope — as the protagonist reaches each new character, tucked away within the puzzles, they are found both willing and able to help. A Wish Upon A Star is free, utterly free, and is also well worth your time. It can be downloaded for Windows, Mac, and Linux over on itch.io.